Six-face machining can be performed from bar material. High speed double arm ATC system. Six-face machining can be performed from bar material. High speed double arm ATC system and pick-up unit for unloading is equipped as standard. 6 faces machining of workpiece in one machine. 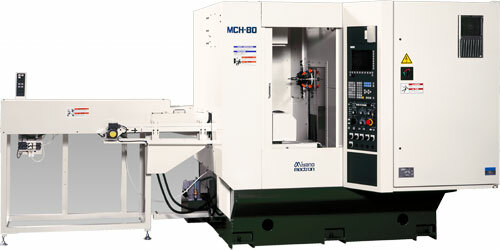 MCH-330 is a new model of MultiCell MCH-series that allows machining all faces of workpiece in one machine. 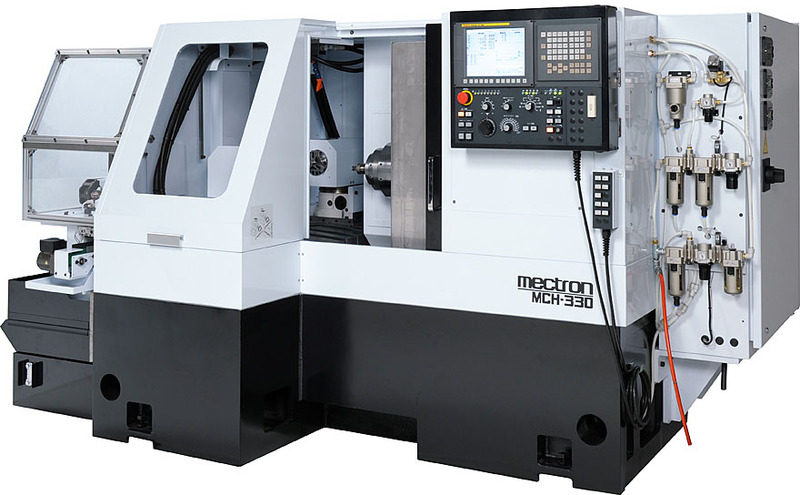 This model constitutes horizontal column travel BT30 spindle (Y/Z-axis), X1 and X2 tilting table, double-arm ATC unit with 30 tools and auto-loader. Equipped standard loader and Mectron stocker or conveyor allows long un-manned operation. 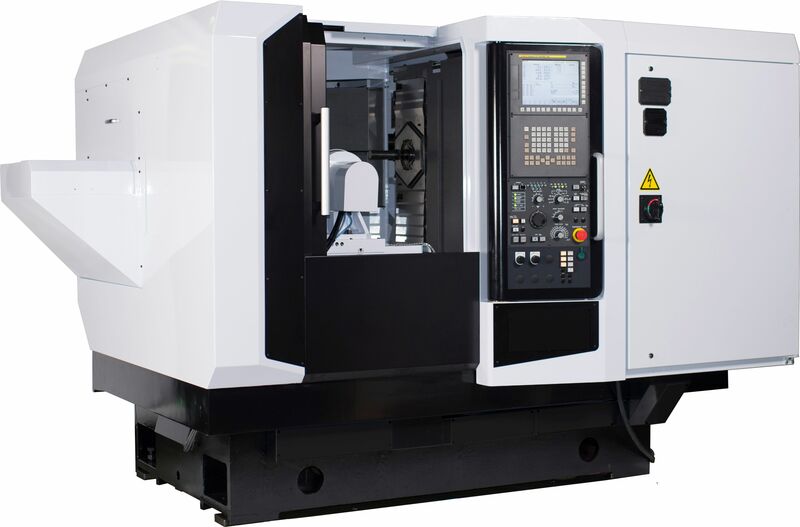 During the operation the workpiece is transfered between 2 stages automaticaly to achive the minimum idle time.